Inspection Services | ASET Services, Inc.
ASET Services offers facilities, architects, and insurance companies an independent source for sports surface inspections. ASET has provided inspections to estimate the extent of damage and the area to be replaced. ASET Services has also conducted inspections that served as the basis for expert opinions during litigation related to the performance of sports surfaces. 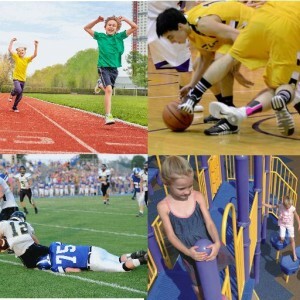 We provide inspection services for basketball, volleyball, aerobics, tennis, walk/jog/run tracks, and artificial turf. The following sections are some examples of the inspection services offered by ASET. ASET Services records the environmental conditions at every facility it visits. This includes ambient air temperature, surface temperature and relative humidity. ASET also records the equilibrium moisture content of any accessible wood components. In the event that moisture within the system is a concern, ASET has developed a computer program that uses the actual temperature and relative humidity of the facility to compute the theoretical equilibrium moisture content of wood components. This allows ASET to more accurately determine if moisture problems exist. ASET services can customize a site inspection and, if necessary, include field performance testing to provide you with the information you need. Please contact us with any inspection questions you may have.